The ‘Hugoniot Organ’. Charles-Emile Hugoniot . France, 1921. 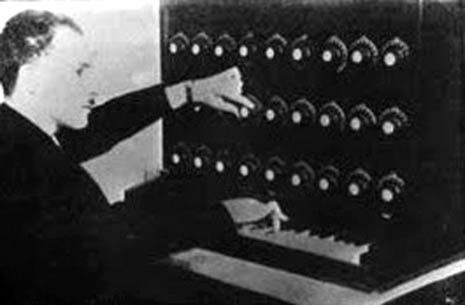 Charles–Emile Hugoniot ( died; France, 1927 ) was a French mechanic, researcher and inventor of an early electronic organ. 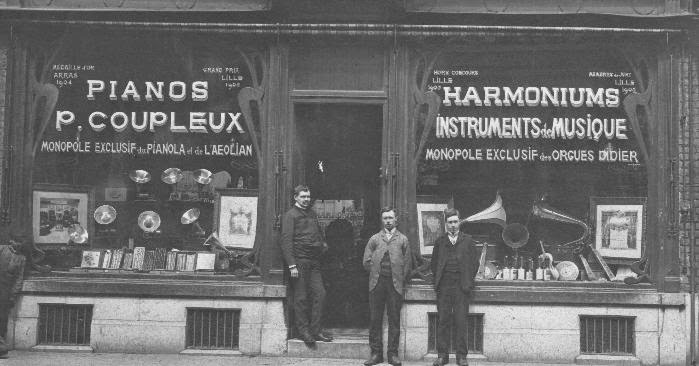 Hugoniot was awarded seven patents in France from 1919-1923 for various methods of sound generation including tone-wheels and photo-electrical tone generators. 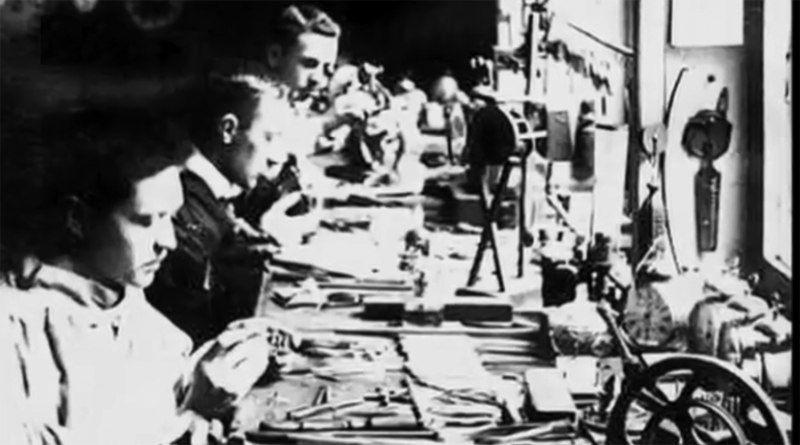 Starting in 1919, Hugoniot began a process of improving existing sound generation devices of the period, first; Thaddeus Cahill’s electro-magnetic tone-wheels (from Cahill’s patent’s that would have been known to him in France) and continuing to electromagnetic steel discs and photo-electrical methods possibly influenced by the South African physicist, Hendrik van der Bijl’s patents from 1916. By doing so, Hugoniot introduced these new methods to a French group of electronic engineers. 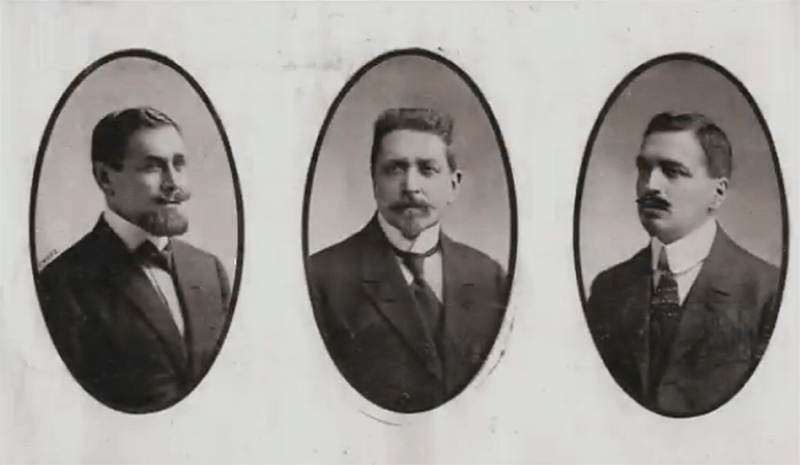 Hugoniot’s died in 1927 before he could develop his ideas any further than prototypes yet he left behind a legacy of innovation that influenced a new generation of French pioneering instrument designers including Pierre Toulon and Givelet & Coupleaux. 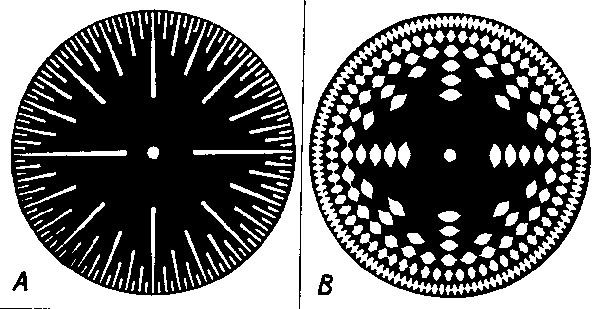 With this scheme the various types of wave forms for different timbres may be placed in radial sectors on a disk; another disk carrying the scanning slits in circular tracks rotates before this wave-form disk. A source of light and photocell complete the translating arrangements. Each slit track scans its corresponding wave cycle at a speed corresponding to one pitch of an approximate tempered scale. Thus, one wave and one slit track serve for each tone frequency of the tempered scale. Naturally the lowest pitch tracks are nearest the center and the highest are nearest the circumference of the scanning disk. (Miessner Inventions, Inc., Millburn, New Jersey) . 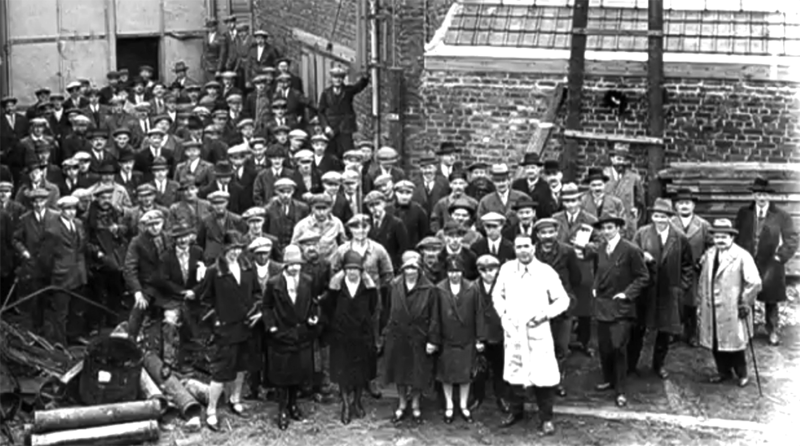 Institute of Radio Engineers.1936. Lev Sergeyevich Termen most famous for creating the ‘Theremin’ also invented many other electronic instruments based on the heterodyning vacuum tube technology of the day – including the Keyboard Theremin, Theremin Cello, Terpsitone, Rhythmicon and the ‘Electric Harmonium’ or ‘Theremin Harmonium’. 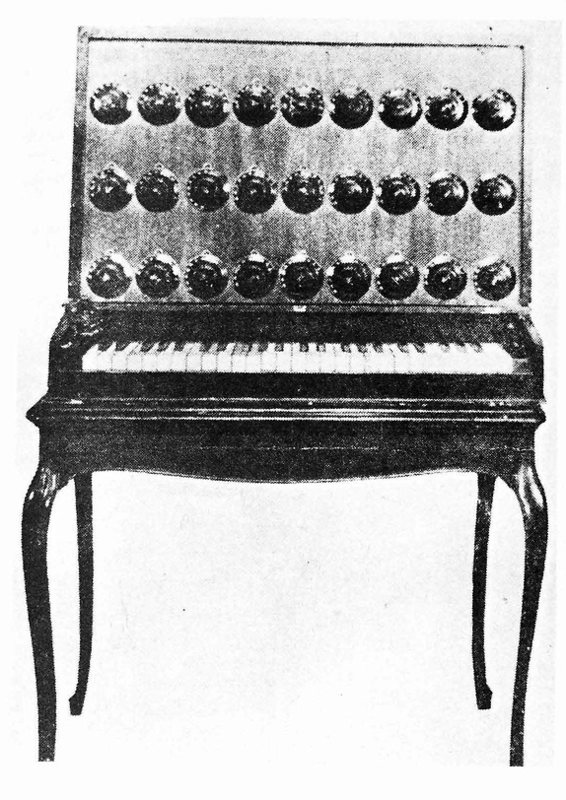 Termen’s Harmonium was an early vacuum tube based polyphonic instrument designed to accompany vocal performances. 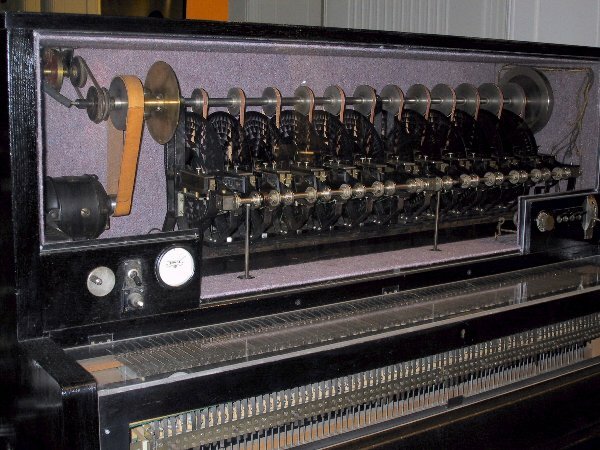 The instrument had a three octave keyboard with a variable tuning that allowed 1,200 micro-tonal divisions per octave. 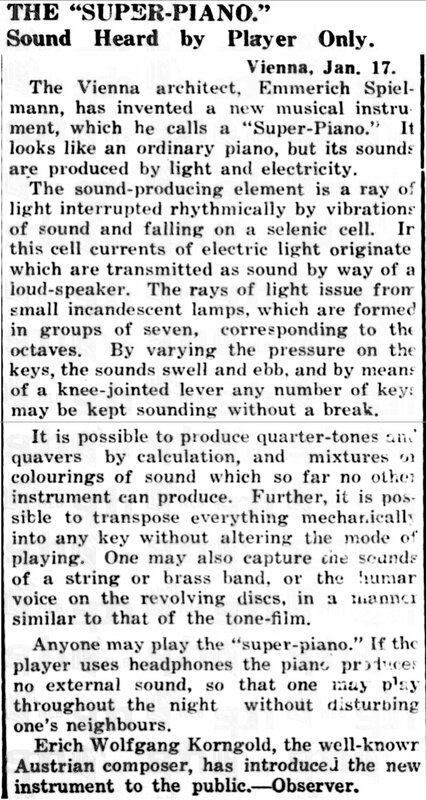 The timbre and volume of the sound could be varied using twelve dials fixed to the front of the instrument. 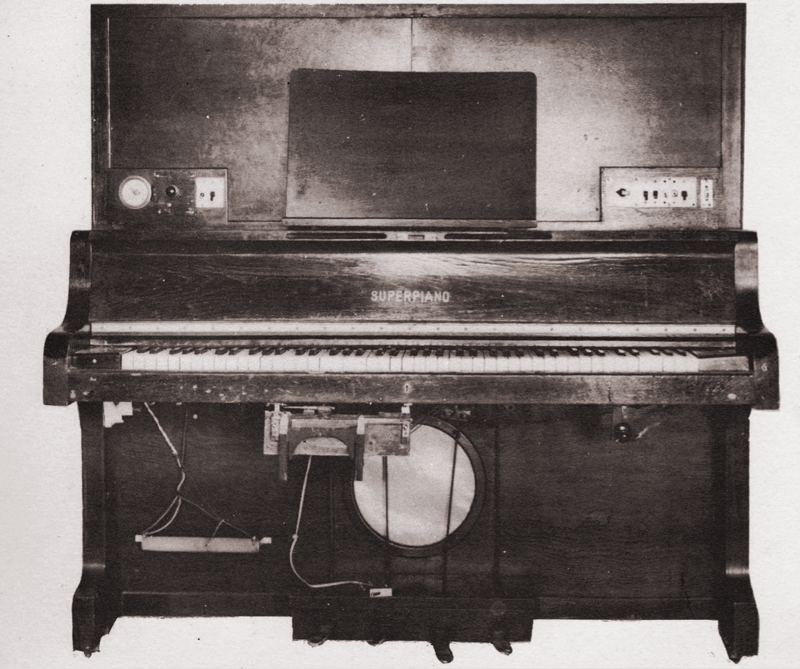 Theremin’s later version of the Harmonium. Each key plays a tunable (micro)tone which is reproduced with its own amplifier and speaker. 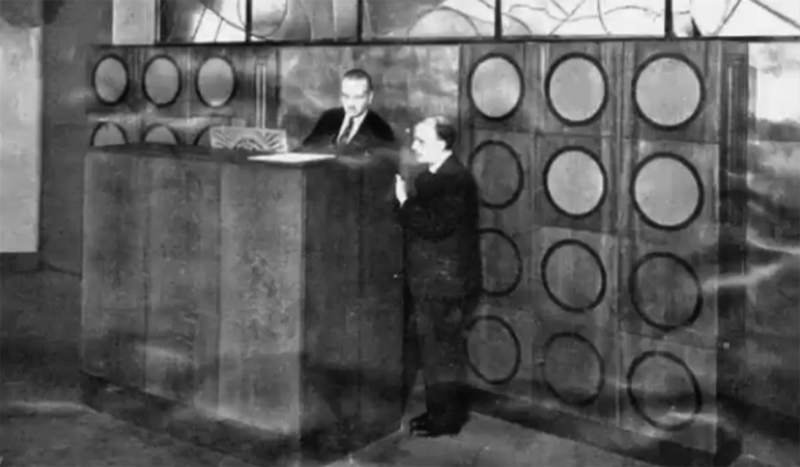 One of the earliest electronic instruments of the Soviet period, the Radio (or ‘Cathodic’) Harmonium was a three voice polyphonic cathode vacuum tube instrument controlled by a manual keyboard, designed for playing atonal music by the audio physicist Sergeĭ Nikolaevich Rzhevkin (1891-1981). 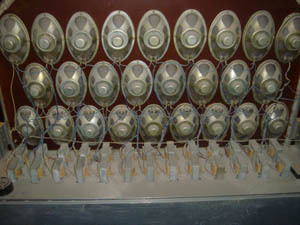 The instrument was used by the philosopher Ivan Orlov in his investigations of aural phenomena. 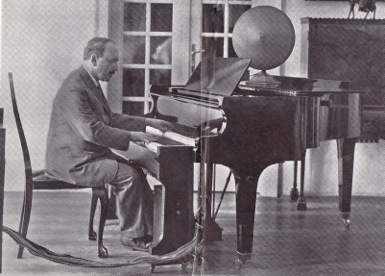 Orlov, I. E. 1926e. 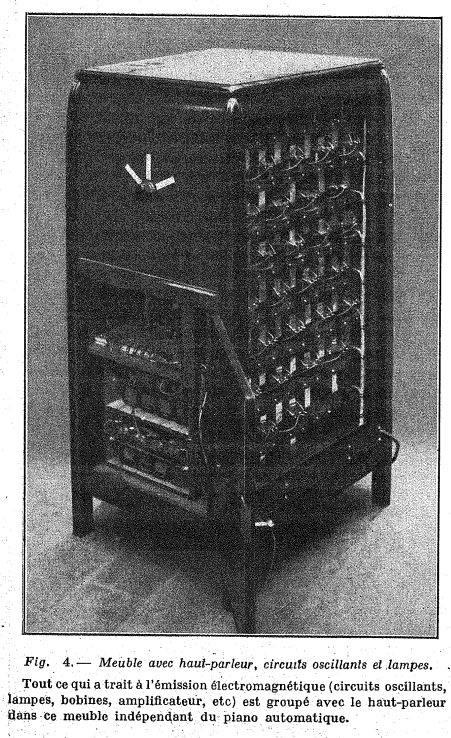 “Experiments with Rzhevkin’s cathode harmonium.”A Collection of Articles in Musical Acoustics (Russian),State Institute of Musical Science, 1925, 1. The Bode Bugle. Page 5 USA. 28 May 1937. 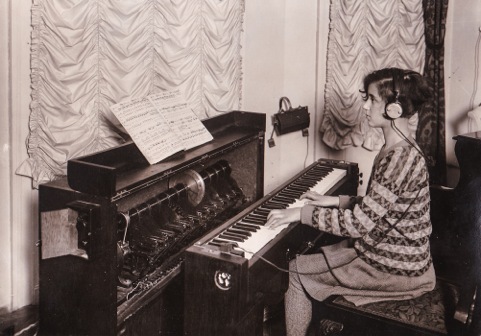 Armand Givelet , the engineer and physicist at the radio laboratory at the Eiffel Tower in Paris produced his first instrument the ‘Clavier à Lampes’ in 1927 as a way of solving audio technical problems at the radio station. 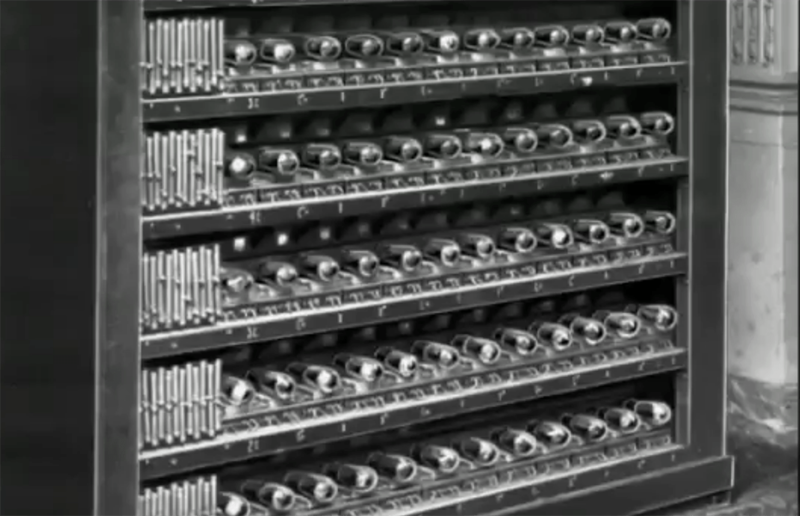 Because microphones of the time were of poor quality, it was impossible to record or broadcast decent quality sound. Givelet’s response was to build an electronic organ that could be directly injected into the transmitter without using microphones. The resulting instrument, the ‘Clavier à Lampes’ was a monophonic vacuum tube keyboard instrument. 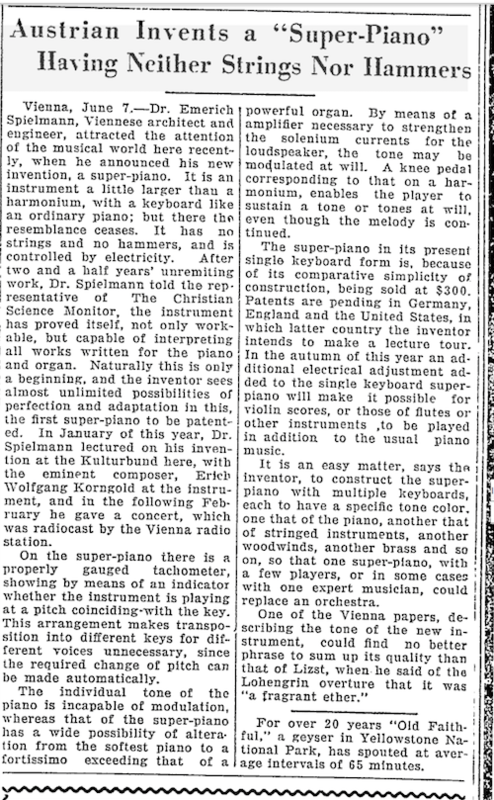 The ‘Clavier à Lampes’ was premiered in Paris in 1927 and taken on tour to the United States starting with the Trocadero Theatre in Philadelphia on June 9th 1927. Armand Givelet (born:21 07 1889 Reims France – died:09 11 1963 La Varenne St-Hilaire, St-Maur-des-Fossés) was originally an engineer in the French military during the First World War but soon recognised the potential of Lee De Forest’s triode technology. 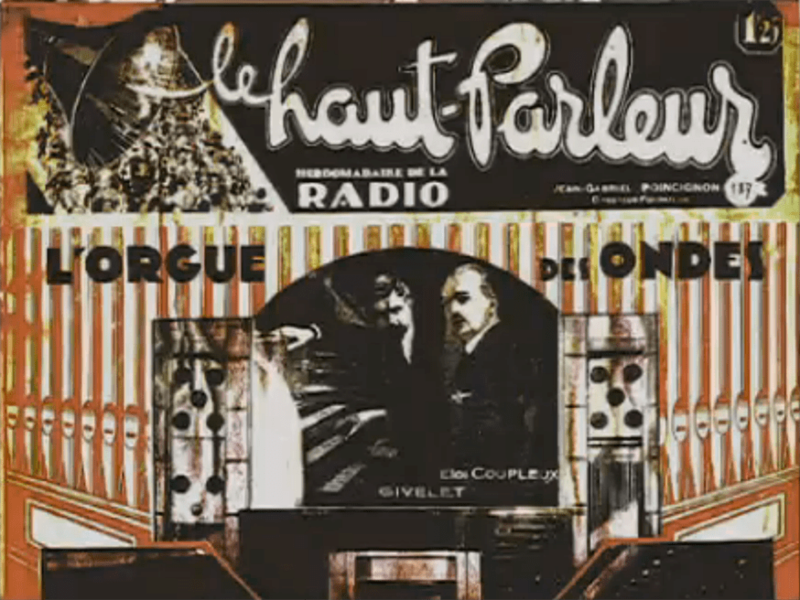 He founded the first Radio Club in France and the T.S.F. engineering school. 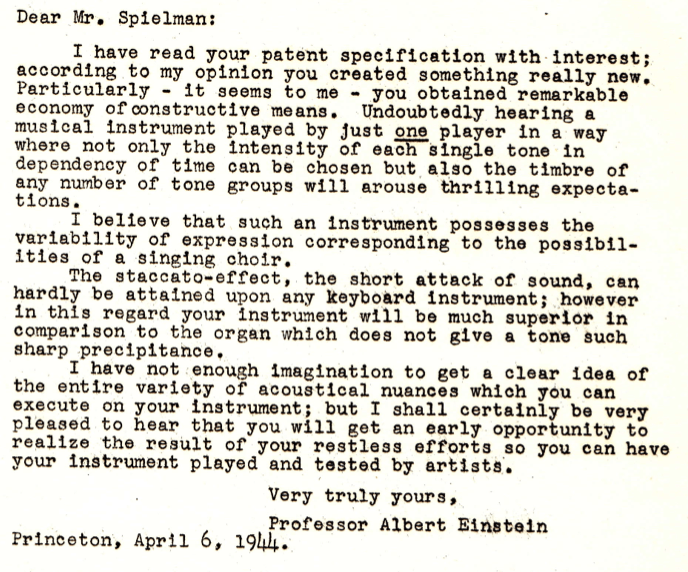 Givelet became a recognised authority on radio technology and inventor who held many patents for radio and broadcast equipment as well as his work with electromechanical (tone-wheel) and valve based electronic musical instruments; His particular contribution w as a stabilised audio oscillator that used much less power than traditional triode circuitry. 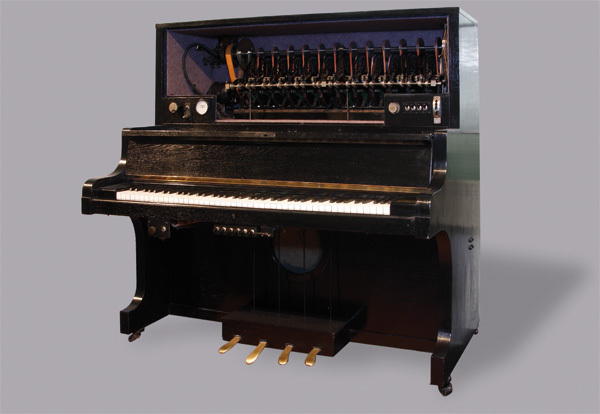 Givelet’s first complete instrument was the The monophonic “Piano Radio-électrique” unveiled in 1927. 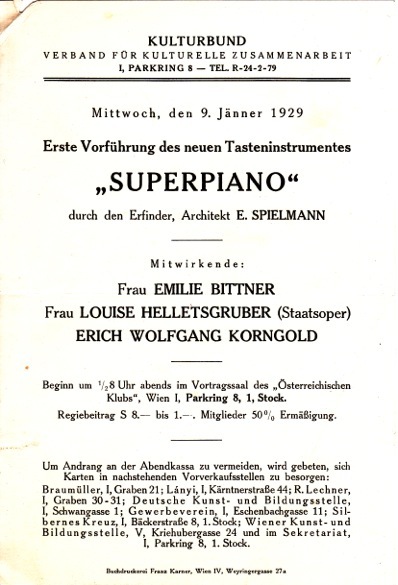 A meeting with the organ Builder Eloi Coupleux in early 1929 began a life-long collaboration that produced some of the earliest electronic organs – designed primarily for church and religious music. 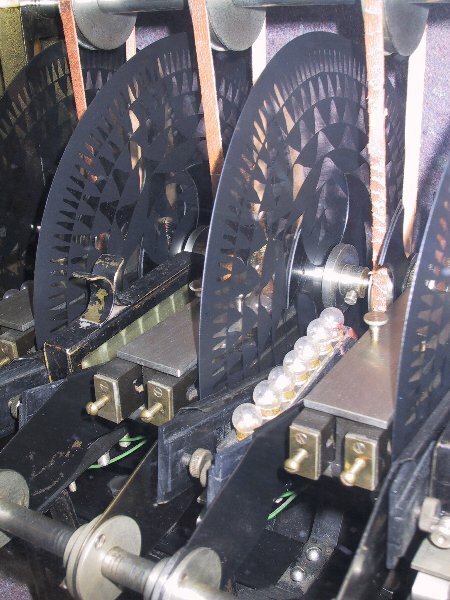 The largest of the Coupleux-Givelet instruments was built for “Le Poste-Parisien” – withs 200 oscillator tubes producing 70 different timbres or stops. 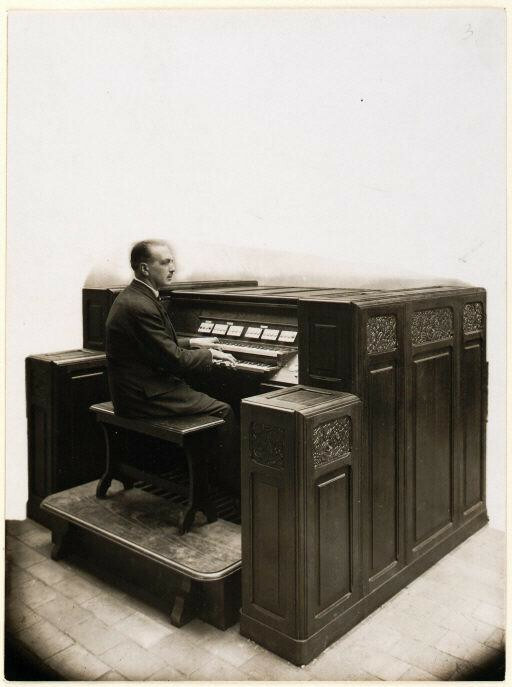 Despite their unique features, The Coupleux-Givelet organs were rapidly made obsolete by much smaller and cheaper organs such as the Hammond Organ. 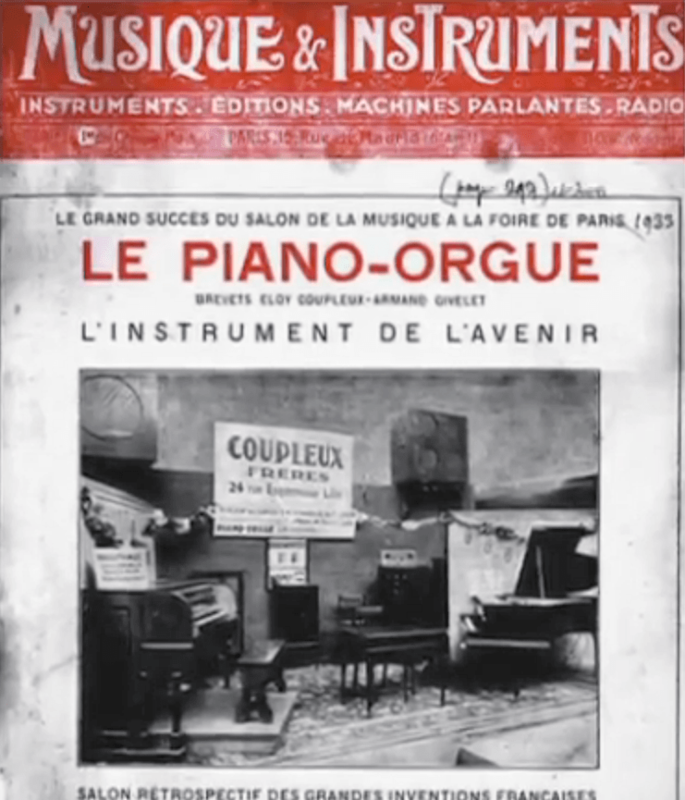 Only four organs were sold by Coupleux-frères to churches in France. 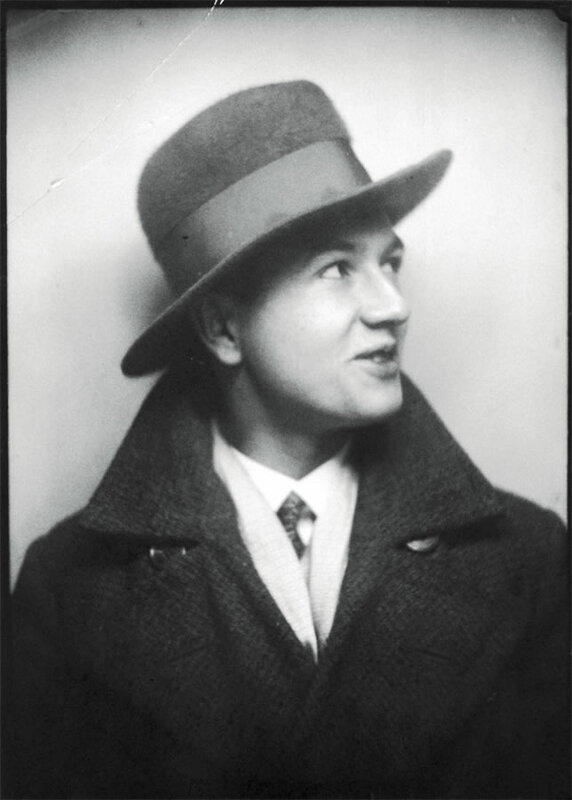 Givelet also wrote theatrical works under the pseudonym Ch. de Puymordant. Olivier Carpentier ‘L’Aventure industrielle des frères Coupleux, 1900-1935’ Préface de Douglas Heffer, éditions de l’Inoui, 2004. 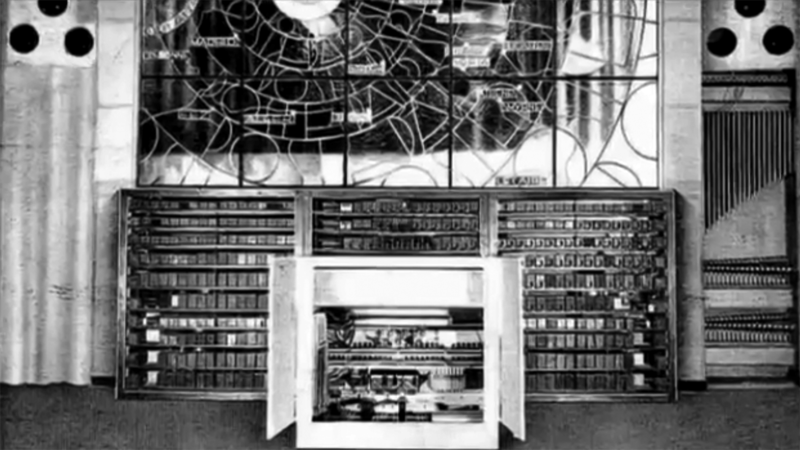 The Warbo Formant Orgel from the Hamburger Anzeiger. 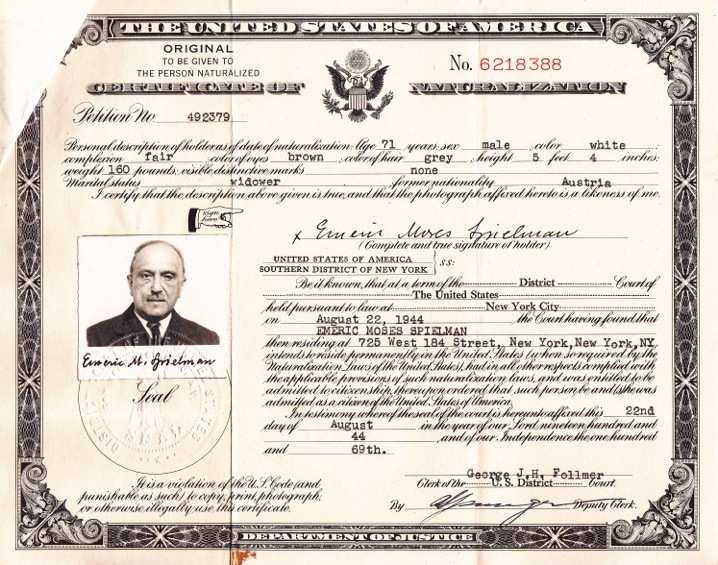 21 September 1938. 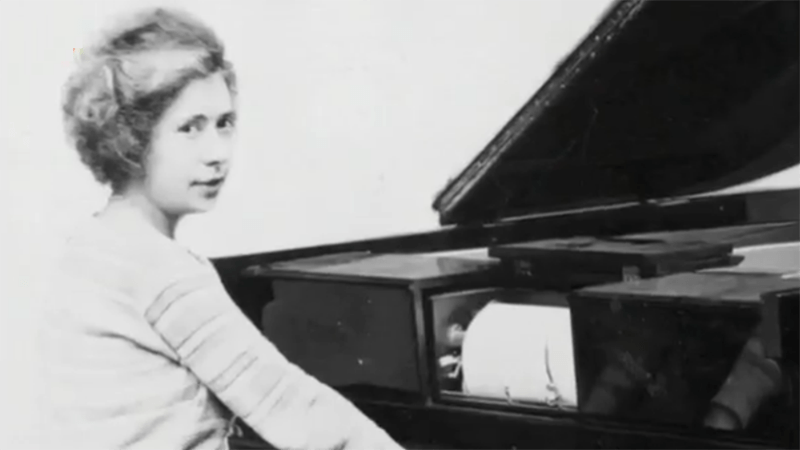 Two versions of the instrument were made and later stored at the Heinrich-Hertz Institute (HHI) in Charlottenburg, Berlin. The institute’s building was completely destroyed during the war and with it the Warbo Formant Orgel. No recording of the Warbo Formant have been found. 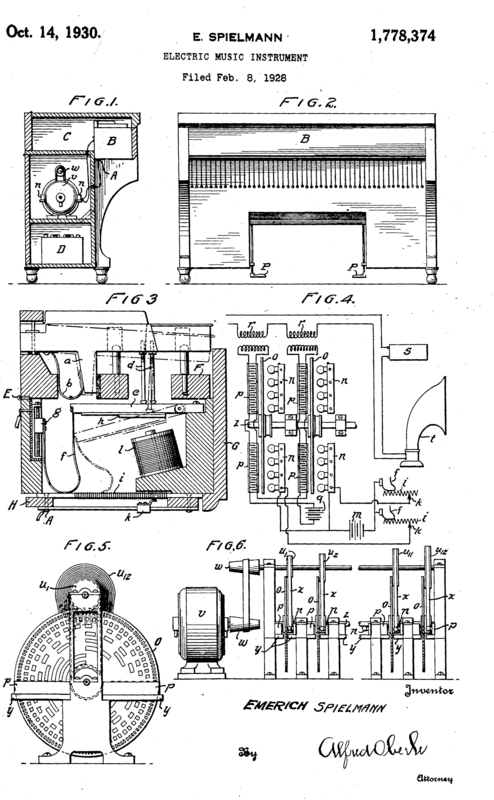 As with many other instruments designed by Bode the ‘Warbo Formant Orgel’ pioneered aspects of electronics that became standard in later instruments. 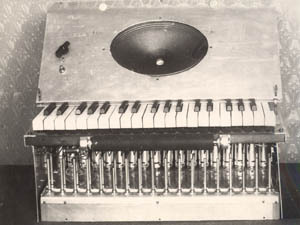 The Warbo Formant Orgel was a partially polyphonic four-voice keyboard instrument with 2 filters and key assigned dynamic envelope wave shaping – features that were later used on the postwar ‘Melodium’ and ‘Melochord’.